The majority of people seeing it will not know much about the work of pro-life organisations. They will not know that the Sisters of the Gospel of Life, the Good Counsel Network and LIFE offer help to women who are in a crisis because of their pregnancy, both during the pregnancy and after the baby is born. They will not know of the help that SPUC gives through its British Victims of Abortion service, or the many other services offered by pro-life groups for women who have had an abortion. They will not have read the kindly words of Blessed John Paul in Evangelium Vitae n.99 to women who have had an abortion. What they will now think they know, is that people opposed to abortion call women names if they have had an abortion. They won't know what those names are, because pro-lifers don't call women names, they work hard for women, whatever their past. This is a sly and deceitful piece of propaganda designed to discredit the pro-life cause without any justification whatsoever. 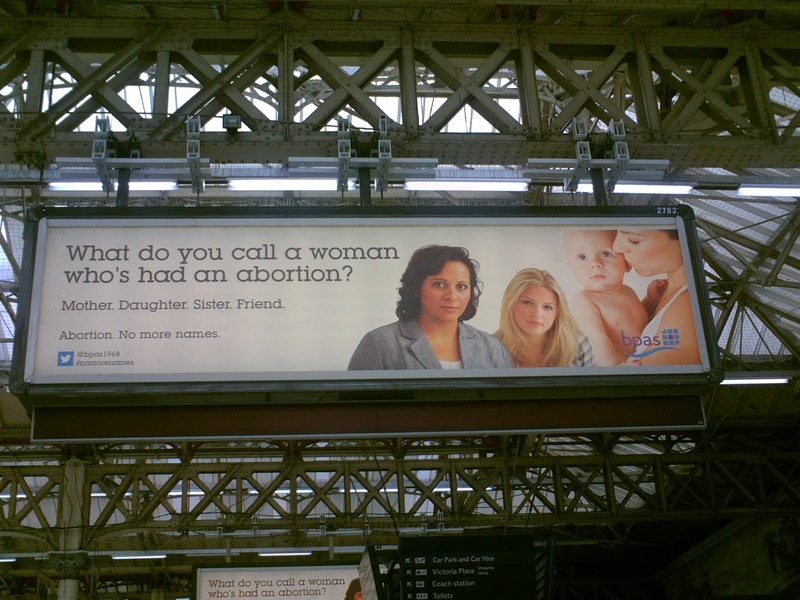 It has nothing to do with the welfare of women and everything to do with protecting the profits of BPAS - who can afford to display this kind of billboard at several London termini.